Since Google can, Google will. With their interest in Facebook (as Marissa Meyer said at a recent keynote at SES San Jose), Google has taken advantage of installing the Google News app on Facebook (account required). 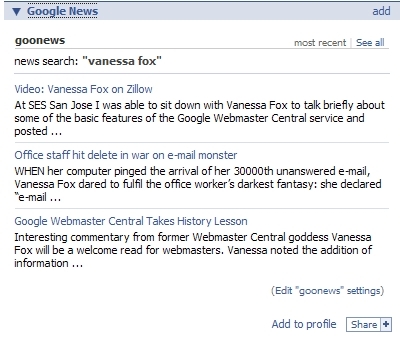 By the way, Vanessa Fox wrote about the Google News Facebook application on Search Engine Land too.